During Visual Arts Expo 2017 two months back, The Magic Rain had the opportunity to interview an exciting line-up of industry professionals. One of the teams we were extremely honoured to sit down with was from MAPPA, specifically the animation team behind Yuri!!! On Ice! If you’ve been living under a rock (or a block of ice) for the past year, Yuri!!! On Ice is a sports anime about ice skating produced by MAPPA, directed by Sayo Yamamoto and written by Mitsuro Kubo. The story revolves around Yuri Katsuki, a 24-year-old Japanese ice skater who’s recently hit a slump in his career. As he returns to his home in Japan for a break between seasons, that’s when his life takes an unexpected turn. Standing at his doorstep he finds Victor Nikiforov, Russian figure skating champion and Yuri’s long time idol, who decided spontaneously to quit the competitive scene and become Yuri’s personal coach! Other than Yuri!!! On Ice, MAPPA still boasts an impressive resume of past work, including Hajime no Ippo: Rising, Rage of Bahamut: Genesis, Punch Line, and Ushio and Tora. However, this interview will focus mostly on Yuri!!! On Ice. Q: I think this is what everybody wants to know: Why Yuri on Ice? Why the story of ice skating in the first place? A: The initial motivation behind taking on this project was that there had been talks within the company about working with the director, Sayo Yamamoto, and she happened to bring the project of Yuri on Ice to the company and stated her interest of making this with us. We thought it was interesting both from an artistic standpoint and a business standpoint, as ice skating was something new that we’ve never seen before in animation, so that was really the motivation behind getting into that project and starting it. Q: What I heard was that, when Yuri on Ice was being pitched, it had to go through a lot of red tape in getting approved. Is there any truth in that statement? A: I don’t know if you could call it “red tape”, but initially, it was very difficult to get the funds together to start working on the project. 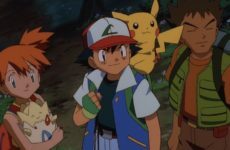 Especially because it’s an original story and animation, and the team that was put together to work on it had never worked together before. Because of that, I think the TV stations and broadcasters felt a little bit of risk. That’s when MAPPA got involved as a studio and forced people’s hands, so to speak. That’s really when things started getting moving. So, it wasn’t really red tape but definitely problems in terms of budgeting and finance. Q: There has been a lot of sports anime in recent years, but not all of them has reached the height of popularity that Yuri on Ice did. When producing this anime, did you have any specific goals or visions in mind that you were aiming for? A: This is something that we’re going to answer from both a company standpoint and then a creative standpoint. First of all, as a company, this is something the director, Sayo Yamamoto, was very interested in doing and something that she has a huge passion for. From that standpoint, it was very interesting to work together and see which direction she wanted to take her vision. But to add onto that, figure skating as a medium itself is very interesting; it’s a combination between music and movement, and this makes a perfection medium when it comes to animation. With this, we thought we could show new forms of animation. There have been many, many anime that have idol dances or musical performances, but figure skating is something that hasn’t really been seen before. Those were the two thoughts behind that. As for creatively, our representatives of the animation team here today have worked on many sports anime in the past, but figure skating is something we’ve never seen in the industry before much less worked on. Firstly, Sayo Yamamoto as a director was incredibly passionate about this medium of figure skating. What was important for her was to create a reality, to mimic our actual world within the animation – not resorting to creating deformed characters where their movements are over exaggerated and not as realistic as they could be – she really wanted to zero in on the reality within the animation and create that as a parallel world to our own where the characters could stand alone as individuals and real human beings. On another point, compared to soccer or tennis or basketball, figure skating is more of an artform. As an animation, it had a lot of appeal. Not only that, figure skating is one of those sports where all you can do is imagine what the actual figure skaters are feeling, not something you can experience firsthand per se. And through this animation, the way that the director wanted to approach it, was so that fans (including those who were watching the animation) could feel like they were on the rink and on the ice with the characters. In that sense, they got to experience the animation in a very personal way, making it easier to both understand the characters feelings and also communicate their own. Q: In animating the figure skating, were there any particular challenges? A: Figure skating is a combination between music and movement, so making sure the movements matched the music was incredibly difficult and one of the biggest challenges. But because of that, it made things equal parts fun and equal parts challenging. The results made it incredibly fulfilling to see in its completed form! However, because it was such a difficult thing to accomplish, in many ways we feel the amount of skill that was required and expected of us was about the same level as it actually takes to be on the ice performing the actual performance itself (laughs), but we think that again goes back to the director’s passion for the sport and dedication to detail. Also, drawing the actual movement of gliding over the ice was incredibly difficult. In regular animations, there are some portions that may not be shown on screen so animators can relax a little (i.e. certain frames in animation will always go unnoticed), but in drawing the movements in Yuri!!! On Ice, we really had to pay attention down to the very last detail to make sure the movements matched the music. We found ourselves paying attention to a lot of places that most normal productions might not and that was also very difficult but very rewarding. For Noriko Ito’s case, it was especially tough because her job involved looking at each movement and each character, and thinking, “what pose would look the most beautiful and how can we show that the character’s movements are fluid, at the same time something pleasing and appealing to look at?” Because her main work was dealing with creating these characters, she also had to pay a lot of attention to what emotions they were feeling at what point in the music. Not only that, she had to match both the movements and also the emotions with the music, and try and show that in a way that was visually appealing. That was very difficult. 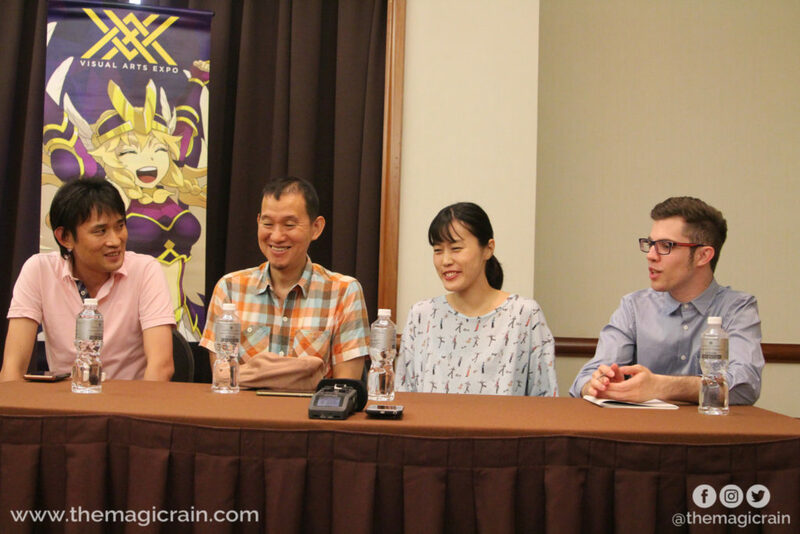 Q: Malaysian fans are a little jealous that there is a Thailand character and not a Malaysian character in the anime (laughs), but we are also proud because there is a representation of Southeast Asia in this show. 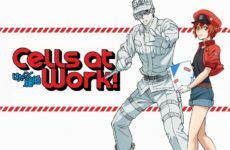 Could you let us know what goes on behind the character design of any of these characters, especially since they are so different from Japanese culture? 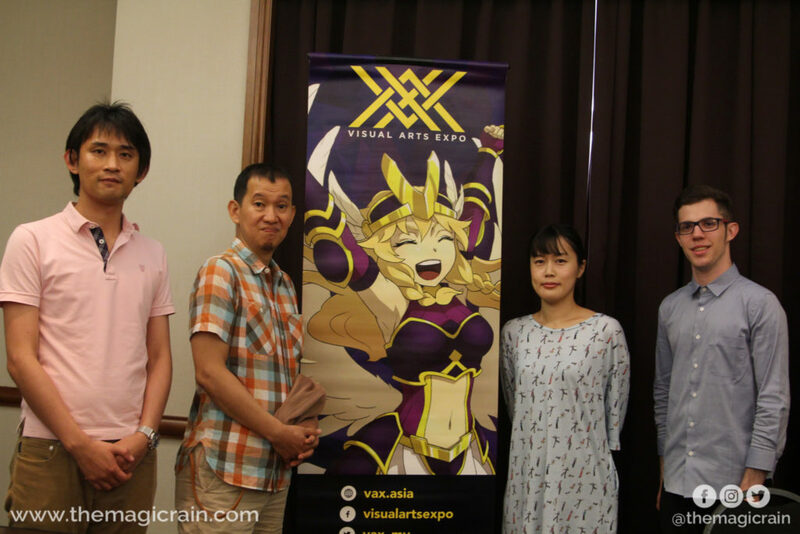 A: Initially the original character concept design was done by Mitsuro Kubo, who is a very famous manga artist, who worked on creating the original concept with the director, Saya Yamamoto. Most of the finalised designs were worked off those initial concepts that Mitsuro Kubo put a lot of time into designing. Mostly, she studied figure skaters from all around the world to really understand the different cultures and different ethnicities in order to portray them accurately. If that was an Asian character or an American character, we would zero in on the elements of that culture – maybe language or perhaps a certain way of moving on ice – that is specific to that one culture. Of course, countries like America has many cultures and many people, but we tried to find what was really at the centre of that culture and then put that into our characters. That was the route we took in developing all the characters including the Thai character, Phichit. Q: Are any of the characters actually based on real life skaters? A: There’s not one character nor one figure skater that you can do a 1 for 1 substitution with in real life. We took a lot of inspiration from many different people and many different athletes, then really looked at what would be the best combination of traits to portray that one character. This was also something we did on an episode-by-episode basis, so we would kind of decide while creating each episode, “maybe we can take this trait from this figure skater and use it for this character”. We focused the most on what would help develop the character and what would help show the character to the fullest extent. In terms of the actual props, however, we made sure every character only used a specific skating shoe and a specific blade. While the characters themselves didn’t have a specific brand attached to them, each character’s skates were a different brand and specific blade and only they would use throughout the entire show. They took a lot of time deciding who would use each skate and showing the character through that. Q: Ultimately, Yuri!!! On Ice managed to reach not only anime fans but also the international community as a whole, partly because of the relationship between Victor and Yuri. Did you ever expect for that to happen or was it part of the plan? A: In terms of expecting it to become as popular as it has, nobody really expected that and it kind of surpassed everyone’s imagination. Of course, when we were in the middle of making it, nobody really thinks too far down the line. As the anime started broadcasting, however, we did begin to see the fan’s reactions. During that time, figure skating was actually very popular in Japan and that’s where we believe we got a lot of our initial fan base. But once we started to see that it was gaining steam both as an animation and as a topic, we really felt that we needed to pull their weight and deliver something that was worthy of the passion of the fans. Whether we could deliver on that promise was one of the biggest worries that we had in creating the work itself. For example, we knew our audience wasn’t just anime fans but also fans from the figure skating community. That’s why we had to make sure we were incredibly detailed and accurate in our portrayal of the sport so that fans of the sport would be able to enjoy it fully; not to mention gain the experience of watching it as an animation and not just as a live action. But now, looking back on it, one of the reasons we think it was successful was, as you said, the relationship between Yuri and Victor. But to go further than that, the show managed to break down many, many barriers; whether that’s international borders or linguistic barriers or even barriers regarding gender and sexuality. This was really something that the director and her co-creator focused on: Not to be caught up in these barriers of language, race, gender and sexuality. Instead, to just draw human emotion and human relations. That perhaps more than anything, including the portrayal of those values in Victor and Yuri’s relationship, is what fans have been responding to. Another thing that’s interesting is how most of the characters are in their twenties, either early twenties or mid twenties. For example, Yuri is 24 years old and Victor is 27 years old. Usually, when you have characters who are in their twenties in animation, they are already in position of a “master at their craft.” The idea that somebody in their twenties, like Yuri, could face a lot of setbacks but still work very hard to build up their career again and come back out on top is a theme that isn’t explored too much in current day animation. On top of that, as talked about before, there are so many different characters from so many different countries and so many different backgrounds that it’s probably one of the biggest reasons why it gained so much popularity in an international community. In that same vein, as you know, many characters in animation tend to look older or younger than they really are. For Yuri!!! On Ice, we placed a lot of emphasis on being realistic in terms of portraying the character’s actual age. If the character was 24 years old then he should look 24 years old, and same goes if they were in their 50s, 60s, or 70s. We think that this idea of having a kind of spectrum of all these different ages and age groups was also very appealing. Q: With all that said and done, what can we expect next from MAPPA? A: Our upcoming project will be a film version of Yuri!!! On Ice! Beyond that, we cannot disclose anything yet, but we can share that 2021 will be our 10 year anniversary so we may be releasing something in that year as well. Please watch out for that, and we hope you’ll be as excited about that as we are! We’d like to take this opportunity to thank both Tadashi Hiramatsu-san and Noriko Ito-san for the extremely educational session. We look forward to whatever plans Studio MAPPA may have in the near future! 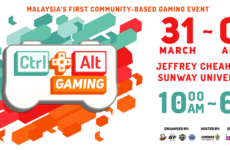 We’re Back with Malaysia’s First Community-Focused Gaming Convention!